"A great and permanently underrated jazz singer." 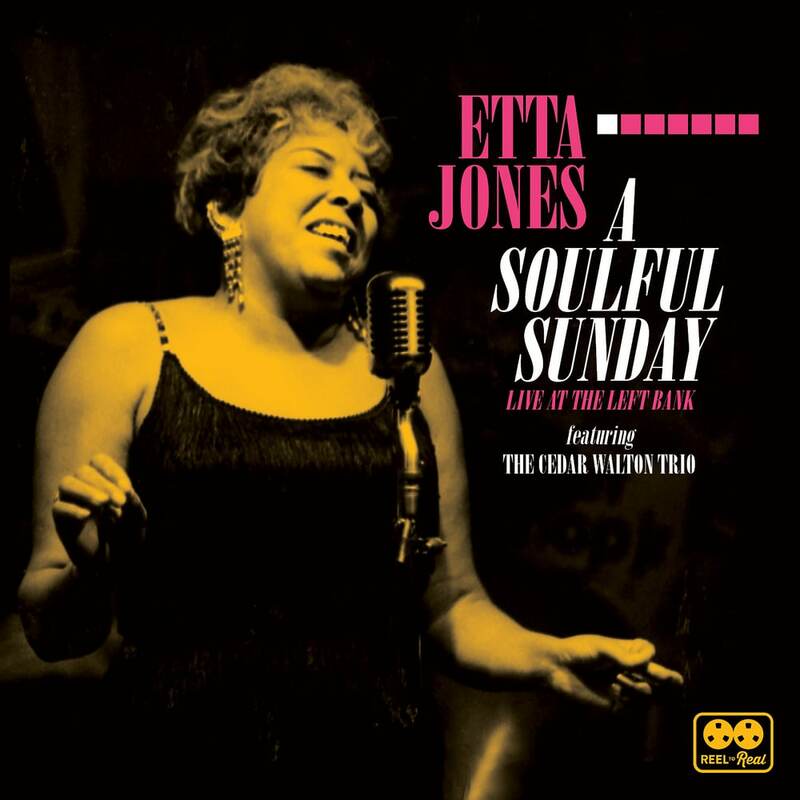 Reel to Real Recordings is proud to announce the label’s co-inaugural release, A Soulful Sunday: Live at the Left Bank, a previously unissued live recording of the under-appreciated songstress Etta Jones featuring the Cedar Walton Trio with bassist Sam Jones and drummer Billy Higgins recorded on February 27, 1972 at the Famous Ballroom in Baltimore, Maryland. There has been no recorded documentation of Etta Jones during this stretch between 1971 and 1974, so this never-before-heard recording fills in an important gap in Jones’s discography and showcases her in fine form.